In 1974, I bought a road bike for about $190 from the old ABC Cyclery in Arlington Heights. This was not a small amount at the time and it cleaned me out pretty well of money saved from my job cleaning dog cages at the local vet’s office. 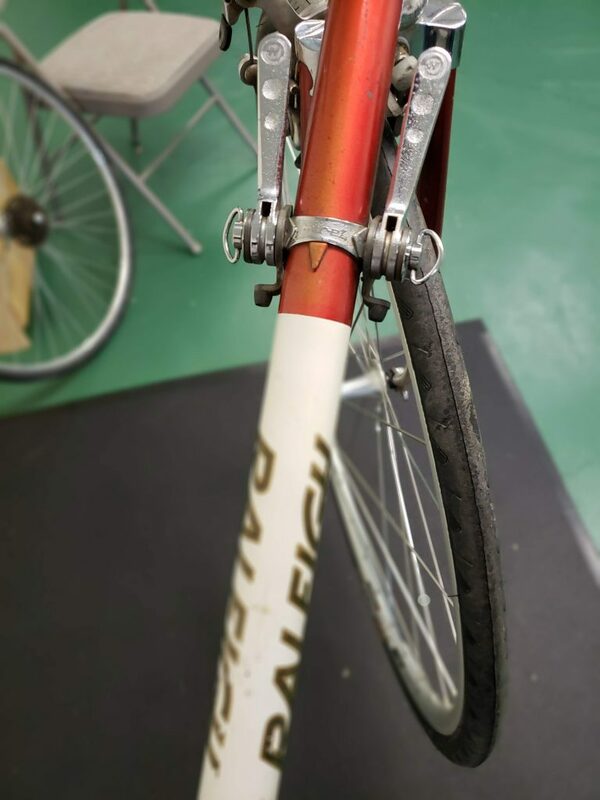 It’s a Raleigh Super Course Mark II and I thought it was awesome. Light and responsive, the frame was a little too big for me. It fell into disrepair over the years, but it moved with me to many places and I still have it. The year before I bought the Raleigh, some friends and I went on a long bike trip from Palatine to Lake of the Ozarks in Missouri and back. We were only 16 years old and were gone for two and one-half weeks. This was pre cell phone so one guy would call his parents every night to say “yes we are being good and safe” and no we were not drinking beer or being juvenile delinquents. We bike camped with tents bought from Korvette’s and it was a great time. I rode a brown Schwinn Continental on that trip. It was a heavy bike built like a tank. You could ride through a three foot deep pothole and it not feel a thing. We were pretty into biking back then and took trips all over. But everyone had a Schwinn back then and what kind of statement was I making by riding a damn Schwinn around! I only bought three things back then: Albums, stereo equipment and biking stuff. So buying the Raleigh was kind of a confirmation of my elite biking status (in my own mind) and was possible because I had a job and my own money. I could never bring myself to get rid of the Raleigh even though I haven’t ridden it in 25 years or more. Ruben is our mechanic here at Samcycle Electric Bikes. He’s very experienced and knows his stuff. 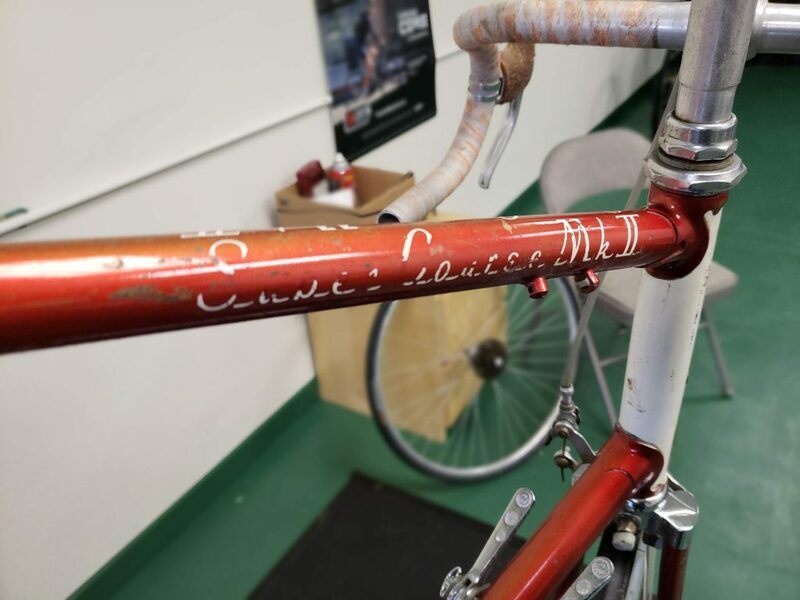 He also great at restoring bikes. So he is in the process of getting the 44 year old Raleigh bike all primped up to be safely ridden again. 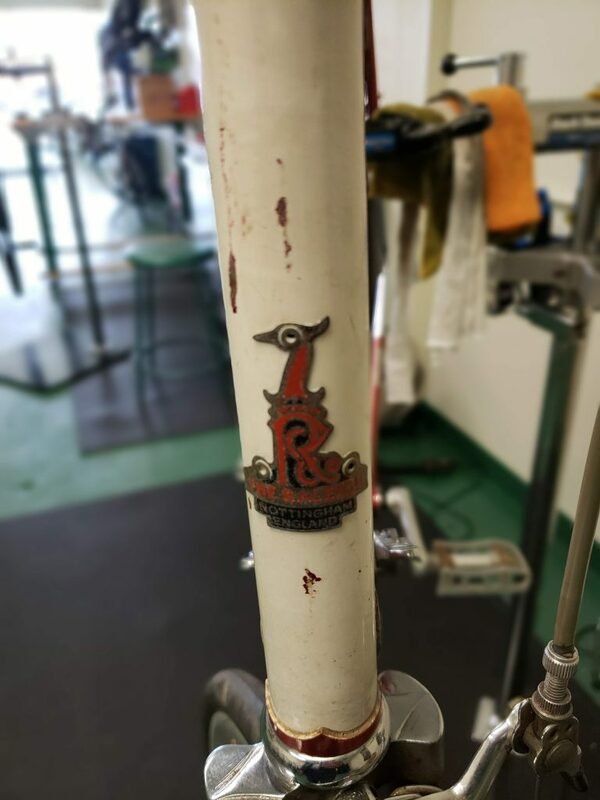 If you have an old bike that you want to restore, bring it in and Ruben will get the job done at a reasonable price. I’m glad I kept the Raleigh and that it will ride again.